After Karnataka, the Bharatiya Janata Party (BJP) is now eyeing Andhra Pradesh for its next high voltage campaign to oust Telugu Desam Party (TDP) government in the upcoming state assembly polls. Prime Minister Narendra Modi and BJP president Amit Shah are scheduled to visit Andhra Pradesh in February. 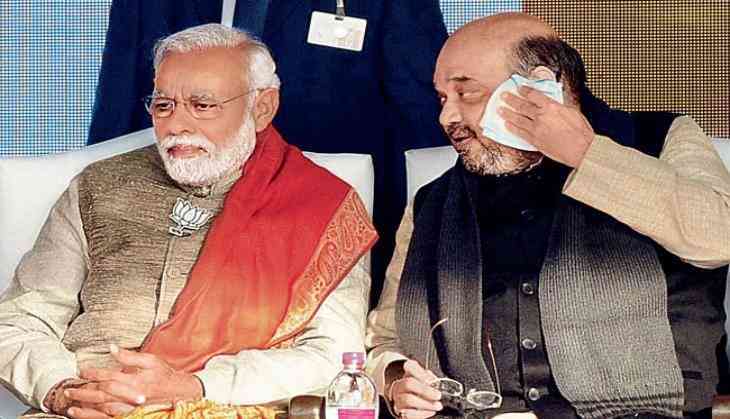 Both the leaders are scheduled to address at five public meetings in the state - Prime Minister Modi will address two meetings, while Shah will tour the state thrice in a span of one month, said BJP Andhra Pradesh president Kanna Lakshmi Narayana on Wednesday. As per the schedule, Prime Minister Modi will fly to Guntur on February 10 and Visakhapatnam on February 16. Notably, Prime Minister Modi was scheduled to address a meeting at Budampadu, near Guntur, on January 6, but it was postponed due to various reasons. It is believed that the Prime Minister will be going to respond to the allegations mounted by the TDP against the BJP during the rallies. On the other hand, the BJP president will tour Vizianagaram, Rajamahendravaram and Ongole on February 4, 21 and 26 respectively. He will visit these places to address Shakti Kendra Pramukhs in these Parliamentary constituencies. In addition, Shah will also flag off Kanna's Praja Chaitanya Yatra (bus yatra) at Palasa on February 4. Notably, he too was also scheduled to visit the state on January 18, but cancelled his programme citing health issues. If one looks closely, the first visit of the Prime Minister and BJP president will, however, coincide with the Andhra Pradesh state government plan to hold a series of protests from February 1 to 12. N. Chandrababu Naidu-led government has also planned to launch a protest in the national capital against the Central government for failing to accord 'special category' status to the state. Chief Minister Naidu is also expected to meet President Ram Nath Kovind on February 12. The Andhra Pradesh and the Centre have been at the loggerheads ever since the announcement of 2018-19 Union Budget. Naidu alleged that the Central government ignored the demand of 'Special Category Status' to Andhra Pradesh in the budget, while the latter brushed aside the allegations.